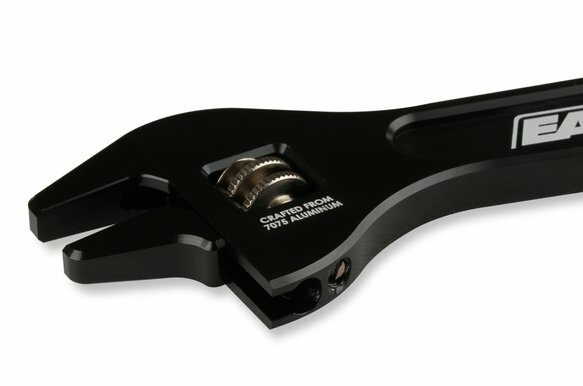 Tired of having to run to your toolbox multiple times to get the proper AN wrench? Earl's has engineered a solution! 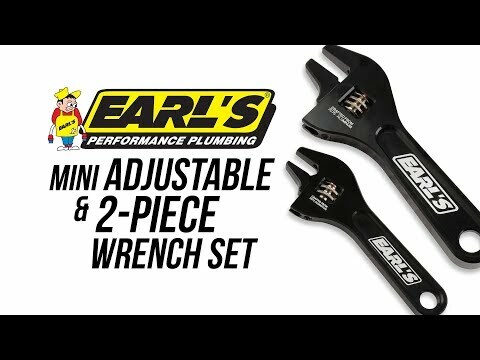 The new Earl's 2 pieces adjustable AN wrench set. 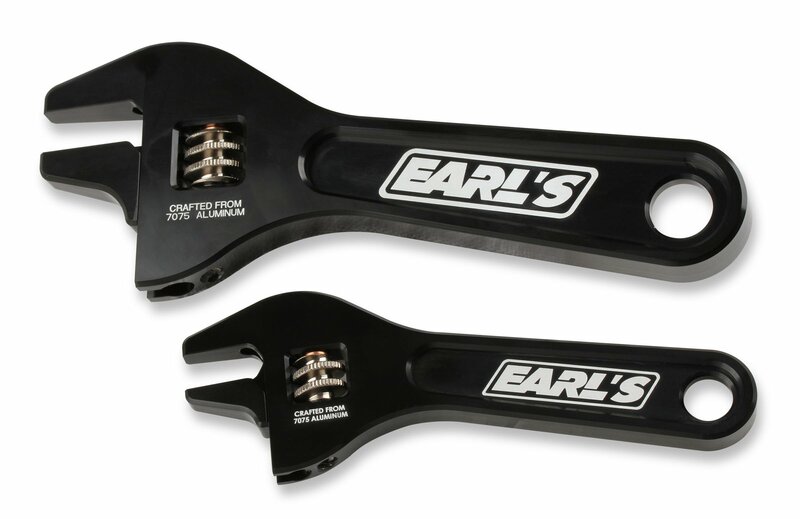 These wrenches are CNC machined from true aerospace grade 7075 billet aluminum and feature a precision mechanism with a Steel Nickel knurled thumbwheel. The handles have chamfered edges that fit comfortably in your hand. 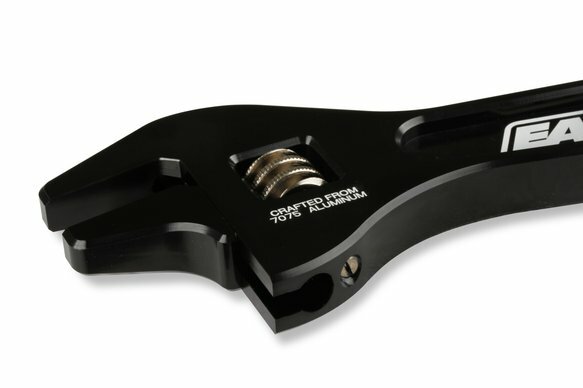 Quick size adjustment make it ideal for use in the pit area, staging lanes, or back at the shop. 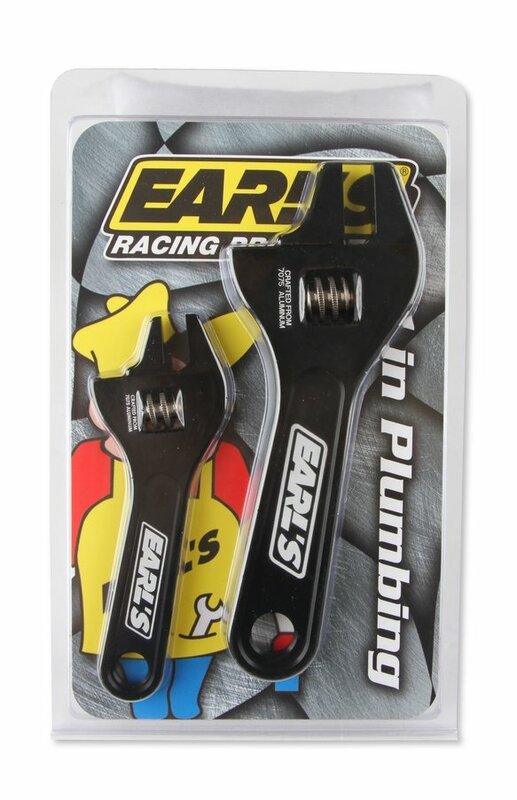 The Mini Wrench Fits AN -3 to -8 & the Standard Wrench fits AN -3 to -12. 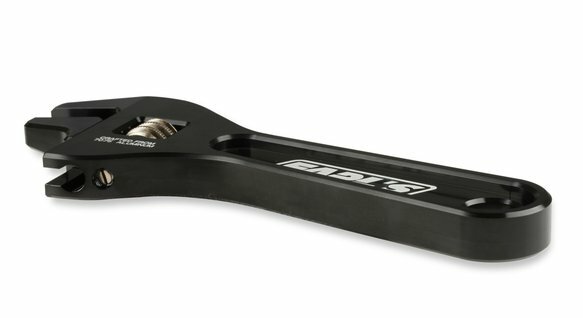 Mini Wrench Weighs only 6.5 oz. & the Standard Wrench Weights only 7.2 oz.